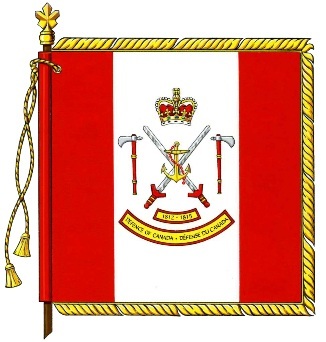 In 2012, the Canadian Government decided to create honours for the War of 1812 and award perpetuations of the recipient War of 1812 units to current units of the Canadian Army. Honours distributed include six battle honours for indivdual actions plus one theatre Battle Honour. In addition a non-emblazonable Honorary Distinction was also created. Federal Government announcements identifying the awards and the units receiving the perpetuations were made in August and September 2012. A DND Fact Sheet titled Battle Honours and Honorary Distinctions: Process of Perpetuation was issued to provide to Canadians an explanation of the distinctions between Battle Honours and Honorary Distinction. In total, 90 identified awards representing 190 perpetuations of War of 1812 units were identified. Some of the awards were overlapping, i.e., duplicated awards to indivudual modern units on the basis of multiple perpetuations.